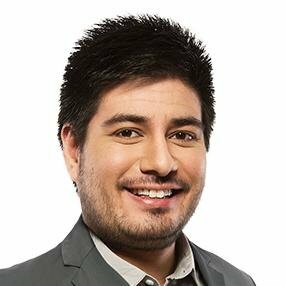 After weeks of searching, you’ve found the IT job of your digital dreams. It’s right up your alley, they pay well, and they’ll even give you an ergonomic chair to spin around in. You’ve made a great resume, brushed up on Codecademy, but you need a great IT cover letter before you can send it off with your fingers crossed in anticipation. We’ll not only show you how to write a cover letter for a job application in information technology, but you’ll be able to do it perfectly so you get that all-important IT interview. And, we’ll walk you through the process step by step all the way through. IT cover letter examples better than 9 out of 10 other cover letters. How to write an IT cover letter that will land you more interviews. Tips on how to grab the recruiter’s attention on an information technology cover letter. How to sell your candidacy on a cover letter for IT jobs to get the one you want. Here's a sample information technology cover letter made with our cover letter builder. Want to save time and have your professional IT cover letter ready in minutes? Use our cover letter builder. Choose from 20+ professional cover letter templates that match your IT resume. See actionable examples and get expert tips along the way. 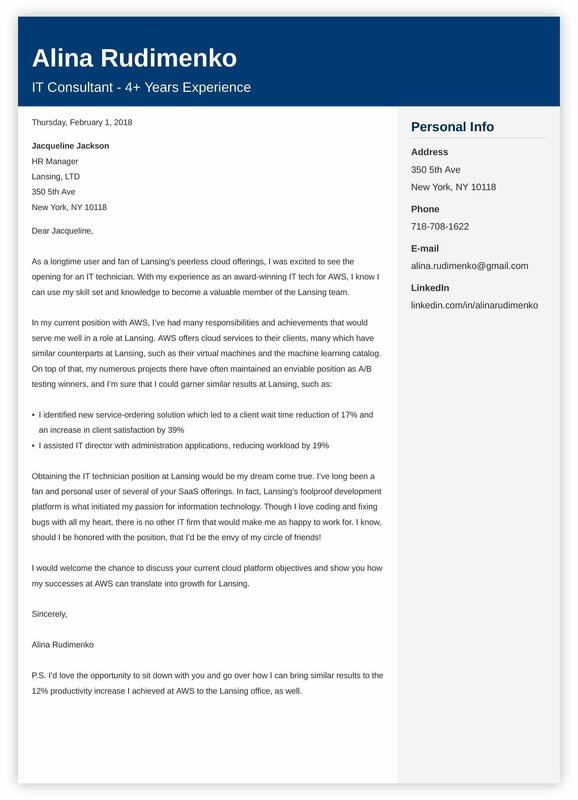 Professional IT cover letter example—See more cover letter templates and create your cover letter here. What’s the Best Structure for IT Cover Letters? Cover letters often give you a freeing sensation, as you can write with creativity and style where your IT resume had to sound robotic like coding. Sounds fun, right? However, your cover letter is a formal letter, so there is a layout that is recommended to be followed, unlike the sections of a resume which can be moved around. But what does that structure look like, and what should you include on an IT cover letter? The IT company’s (addressee’s) details. Short paragraph on why you’re perfect for the tech company. Short paragraph on why the IT position is perfect for you. Here, we’re following our recommended structure on the elements of the perfect cover letter. To read more about the method behind our madness, see this article for the best IT cover letter format: What to Put in a Cover Letter? Pro Tip: Don’t complain just yet! Though you should follow our professional cover letter structure, you’ll have freedom in the way you speak. On the IT resume, you’ll often use fragmented sentences and phrases, but here, you can stretch a bit. First up when putting together a cover letter for IT is the heading area, as it was when you were starting your resume. The heading area is where you’ll address and date the document, and its look and design may vary depending on the cover letter template that you use. First, add your contact info at the top of the cover letter. Must-haves include your name, email address, and phone number. Optional items are your mailing address, branding statement, and a LinkedIn profile URL. 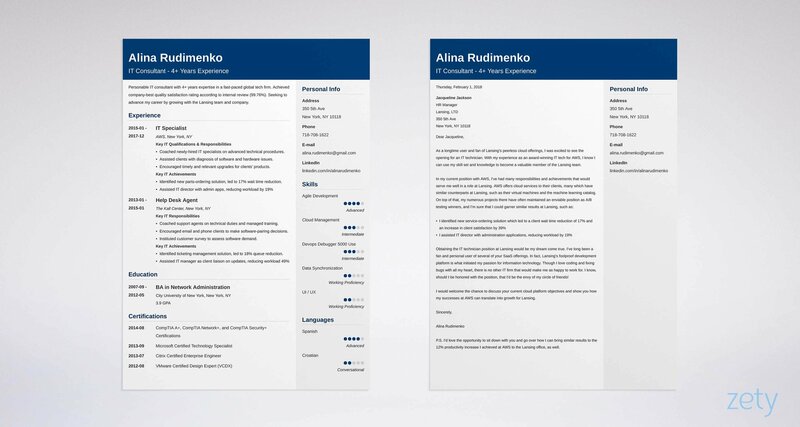 As the addresser, your address can be aligned left, center, or right; I’d suggest sticking to the design of your resume. Pro Tip: Don’t add the rest of your social links, profile URLs, and portfolio information with your contact details as you did on your resume, unless the IT cover letter template you choose includes an area for them. After the date, add the addressee. In your case, it’s the tech company or agency you are applying at, but try to find the specific name of the hiring manager or HR director to insert at the top of the company address. This will make it feel more personalized and will be much more compelling. When choosing what’s important to load first on a web page, your browser consults the HTML DOM. Similarly, the opening area of a cover letter for information technology is super important to get right, as its top location gets the most eye time. You’d not be certain it was you being beckoned if a barista called out “sir or madam” when the beverage is ready to hand over. On your technical cover letter, the same rule applies. Like I mentioned in the address section, finding the name of the HR manager makes the difference between it feeling personalized and it seeming like it was mass-emailed to the entire zip code. Something like “Dear Ms. Jackson,” works just perfectly, but you can also segue from the formality in the address area by calling them by their first name: “Dear Jacqueline,”. Like the compelling first line in a great novel, the opening paragraph on an IT cover letter should hook them immediately in a way that makes them want to read further. As a longtime user and fan of Lansing’s peerless cloud offerings, I was excited to see the opening for an IT technician. With my experience as an award-winning IT tech for AWS, I know I can use my skill set and knowledge to become a valuable member of the Lansing team. See that? This one is written about the company specifically, and it gives a seductive taste of why you would be the perfect addition to their team. This makes a great opening paragraph, and it will make them want to read more. Pro Tip: As you called out their name in the address, mention the company’s name in the opening paragraph, as well. It feels more personalized, and it assures the hiring manager that they’re reading a dedicated cover letter. Here's an IT cover letter sample and a matching resume. Want to write your IT cover letter fast? Use our cover letter builder. Choose from 20+ professional cover letter templates that match your IT resume. See actionable examples and get expert tips along the way. 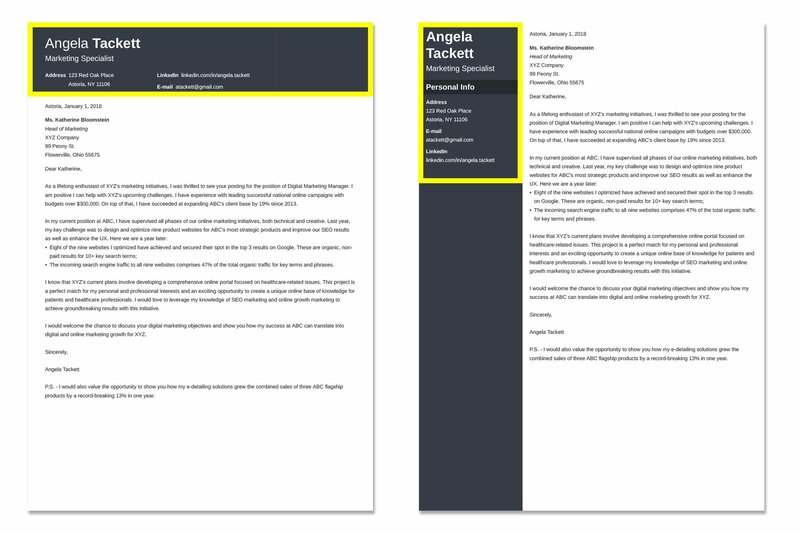 IT Cover Letter for a Resume—See more cover letter templates and create your cover letter here. Now we get to the nitty gritty, the main event - it’s time to sell them on why you’re the perfect candidate out of that stack of 250 others. But don’t worry. The next two areas (we suggest a paragraph for each) give you plenty of real estate to make your case. Though they’re opposites, these sections have a symbiotic, yin-yang-type relationship. You’ve got them hooked, now start reeling them on your IT technician cover letter by showing them how you are the perfect fit for the company and team. See that? With that paragraph, you show that your acquired skills and experience would make you the ideal new hire for the job offered. Pro Tip: Remember using keywords on your resume to ensure that it’s tailored? Add them on your IT professional cover letter, as well. Obtaining the IT technician position at Lansing would be my dream come true. I’ve long been a fan and personal user of several of your SaaS offerings. In fact, Lansing’s foolproof development platform is what initiated my passion for information technology. Though I love coding and fixing bugs with all my heart, there is no other IT firm that would make me as happy to work for. I know, should I be honored with the position, that I’d be the envy of my circle of friends! How about that? You praised the company and explained why they are the center of your universe - who can resist that? This works for this experienced IT cover letter sample paragraph, but it would work equally well on entry-level information technology cover letters. Pro Tip: Tell a joke. Be sincere. Use an exclamation point! Display your wit. Convey your enthusiasm. There are many ways to show them why you’re perfect. You’ve run a great race. You started off strong, and you kept that momentum going throughout. Now, don’t slack off just yet - it’s time to summon a second wind and cross that finish line with a powerful closing statement. I would welcome the chance to discuss your current cloud platform objectives and show you how my successes at AWS can translate into growth for Lansing. See that? You bring it to a satisfying end by summarizing your IT cover letter and then leaving the ball in their court. Pro Tip: You can let loose in your cover letter, but just as with the formal header, where you addressed your cover letter, keep the closing sentiment more formal, as well. I know, I know, I said that was it. But hear me out for just one more moment, if you will. P.S. I’d love the opportunity to sit down with you and go over how I can bring similar results to the 12% productivity increase I achieved at AWS to the Lansing office, as well. How about that, huh? A P.S. (postscript) at the bottom of your cover letter for IT jobs always draws the attention of the reader, even if they don’t care to read the rest of it. It’s a clever way to get one last word in edgewise before they finish. As you can see, writing a cover letter is certainly not as complicated as you thought - and definitely nowhere near as tough as the wizardry you’ll perform once you get the job. Start with a bang - Your opening statement on your cover letter is important because it’ll determine if the IT hiring manager reads on. Show you belong together - Use the majority of the body area to show that you’re a perfect fit for the company and they’re the ideal workplace for you. Finish strong - You held their attention to the end, but use a strong ending so they’ll be sure to move on to your resume and an IT interview. Do you have any questions on how to write an IT cover letter? Not sure how to address a cover letter, start your body paragraphs, or end your cover letter in a strong way? Get at us in the comments below, and we’ll answer your question. Thanks for reading!